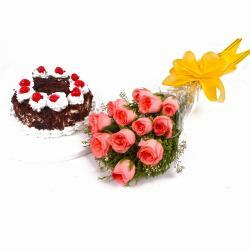 This gift combo is bound to bring smile on the face of the receiver. 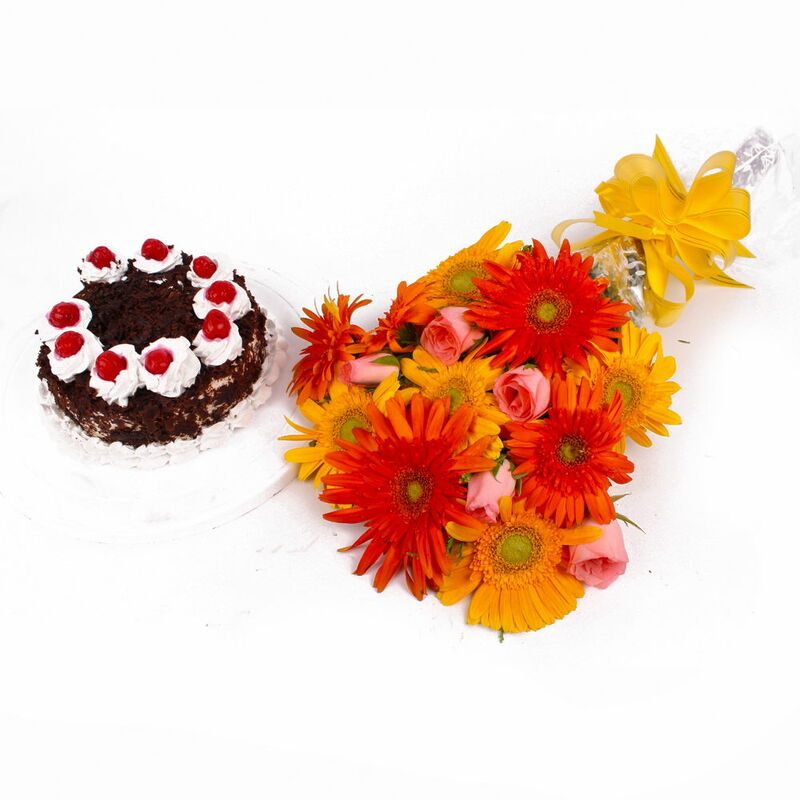 It consists bouquet of fifteen flowers like gerberas and roses that will floor you with their beauty and sheer elegance, add more happiness with black forest cake. 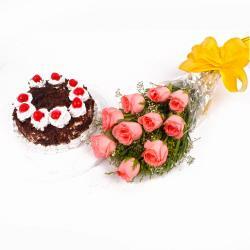 It is complete surprising moment and creates unforgettable event. 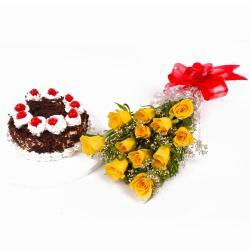 Delight your dear ones in any special occasions such as Birthday, Valentine’s Day, Anniversary, Mothers Day, and Fathers Day, Christmas and so on with the fabulous gift combo through Giftacrossindia.com. So go ahead, place your order now. 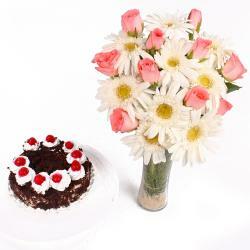 This gift hamper contains : Bouquet of 15 Mix Flowers Gerberas and Pink Roses along with Half Kg Black Forest Cake.